As Noah has gotten older (at the time of this blog post he’s 7!) it’s been fun to watch him grow in his comprehension of how things work. The types of toys he enjoys playing with these days are more developed, and he’s even begun to enjoy playing board games! You can find all of these board games on our Amazon Shop! 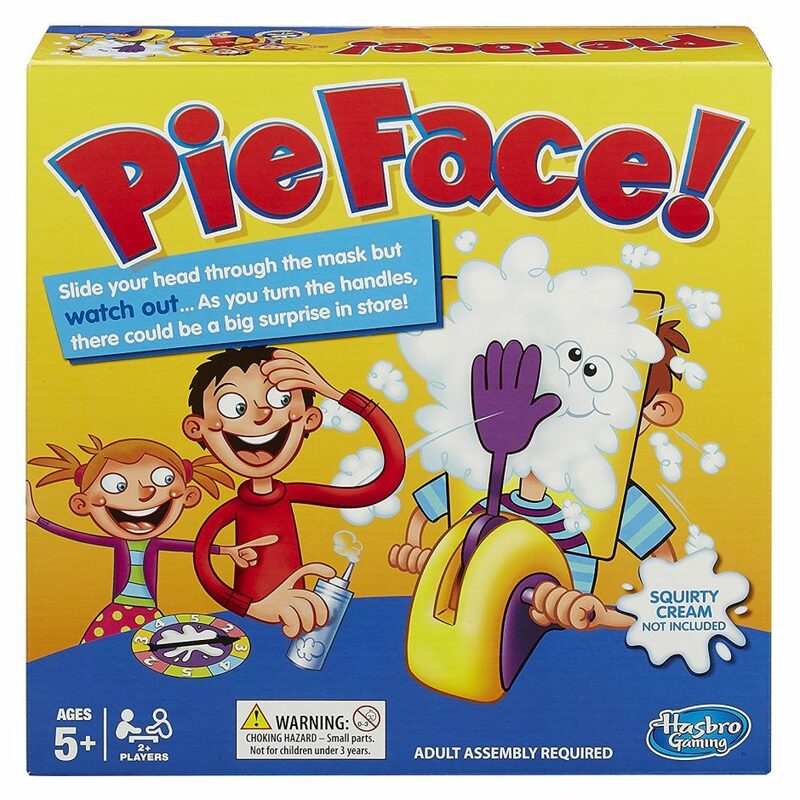 The Pie Face game is our favorite board game on this list! 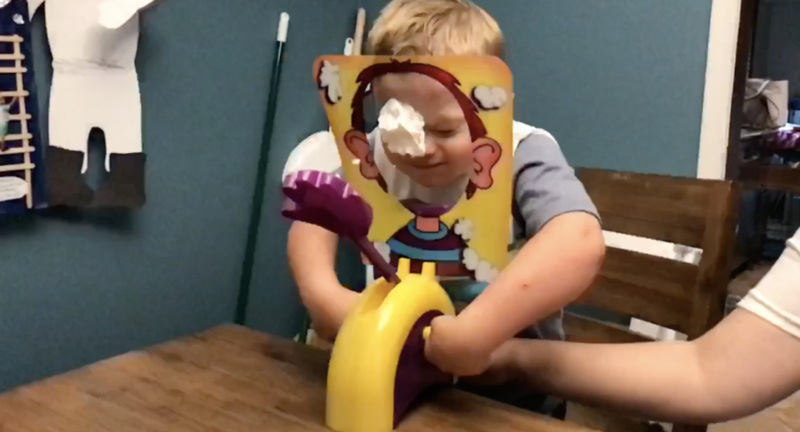 The instructions basically go like this: each person spins a little wheel that tells them the number of times to crank the handle on the game, and then you sit back and laugh as people get splatted with whipped cream. It’s a ton of fun, it’s easy to play, and anyone can play. If I were to buy only one game on this list, I’d get this one! 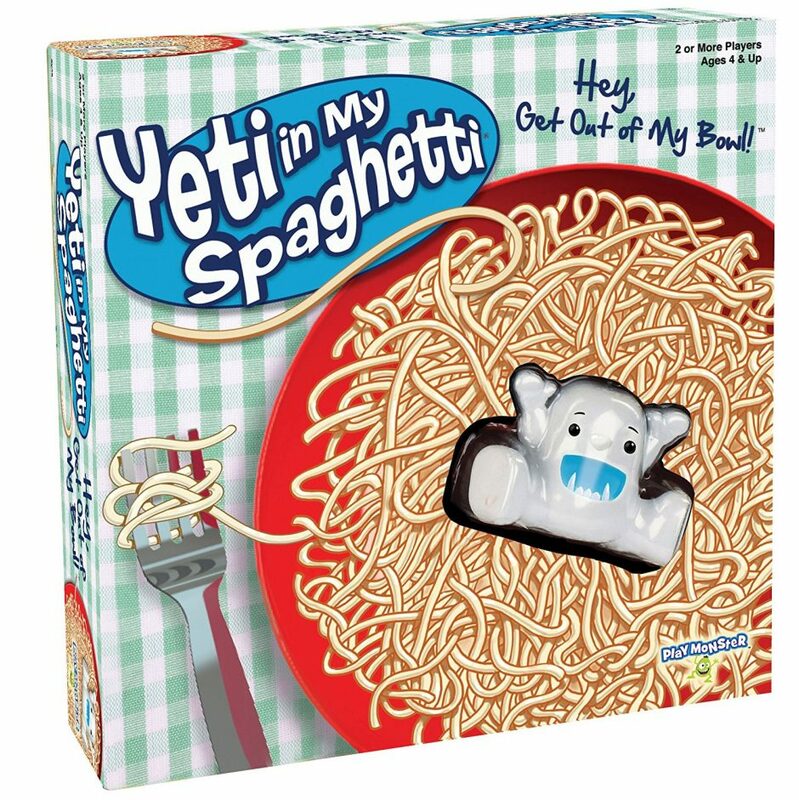 Yeti in My Spaghetti is a great game because it helps your child develop fine motor skills as they to pull the pretend plastic, spaghetti threads out of the bowl, without the Yeti following in. This is a fun game! 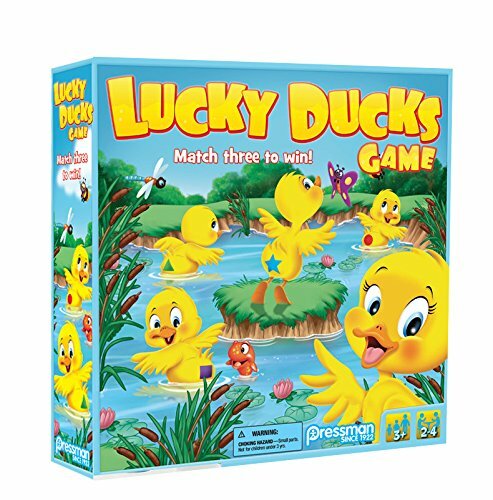 Click here to buy Lucky Ducks! 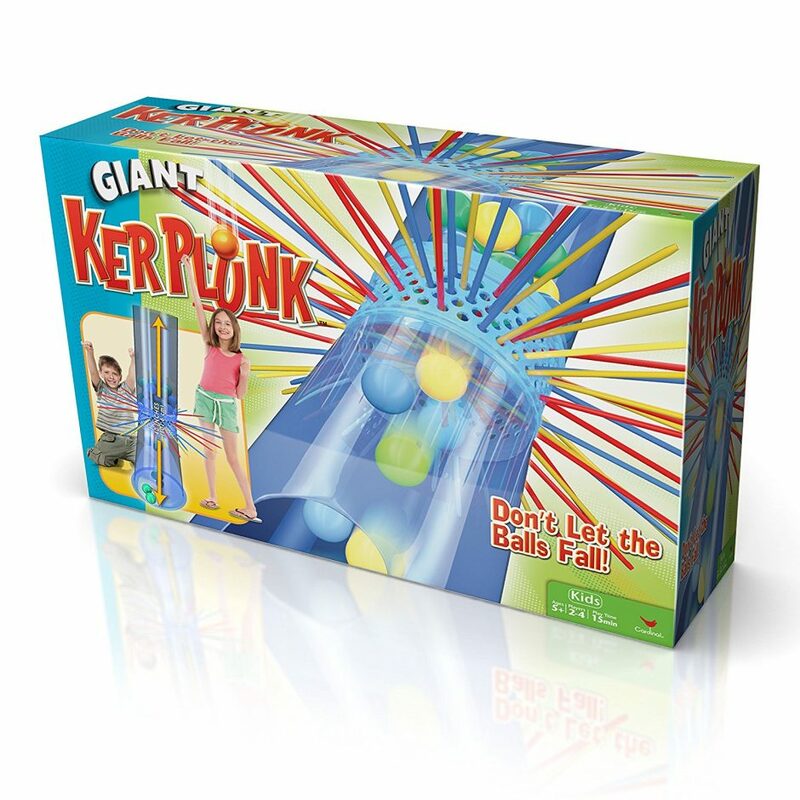 Click here to buy the giant kerplunk game! 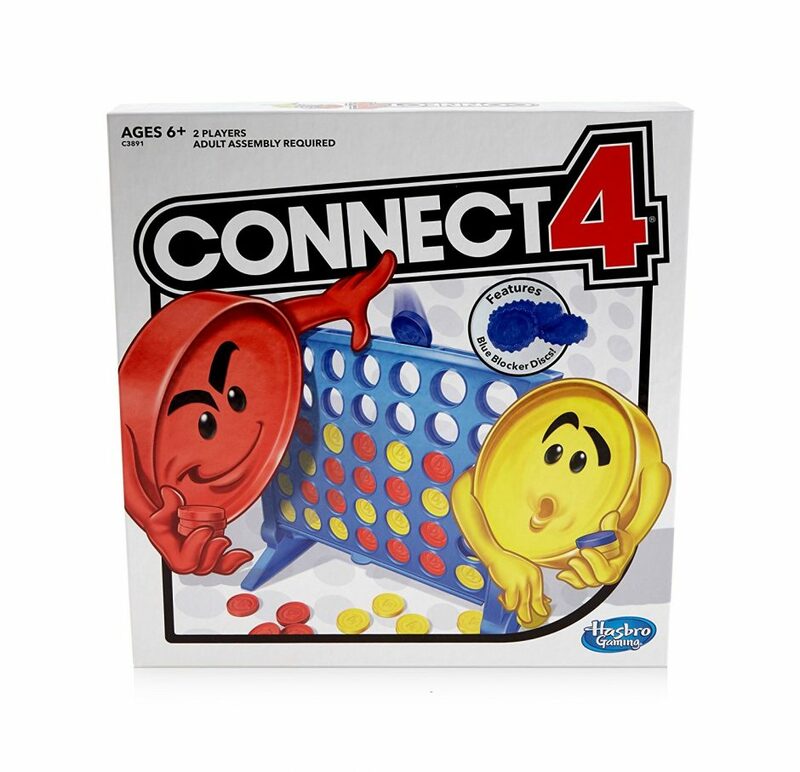 Connect 4 is classic, you know it, you’ve probably played it, it’s great! 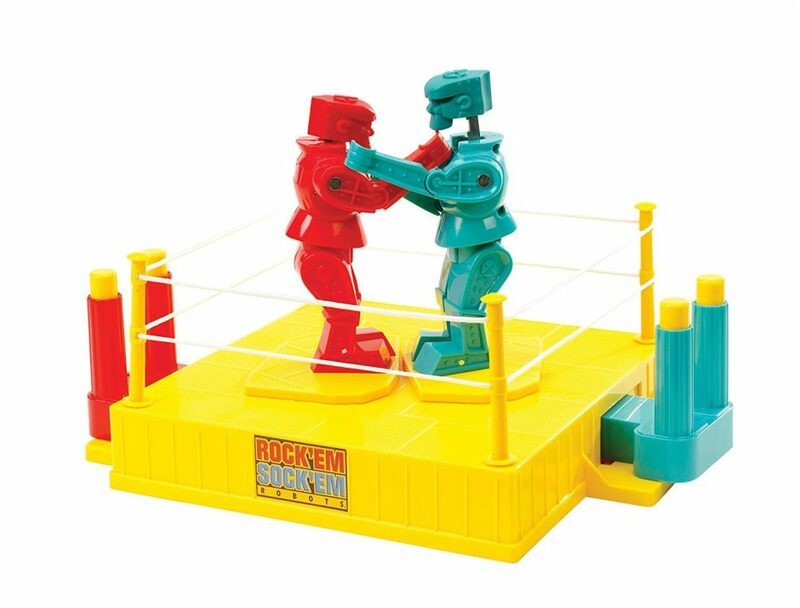 Rock ’em Sock ’em is another classic. You may have played this game growing up. Kids still love it! Hungry Hungry Hippos has been around for a LONG time. 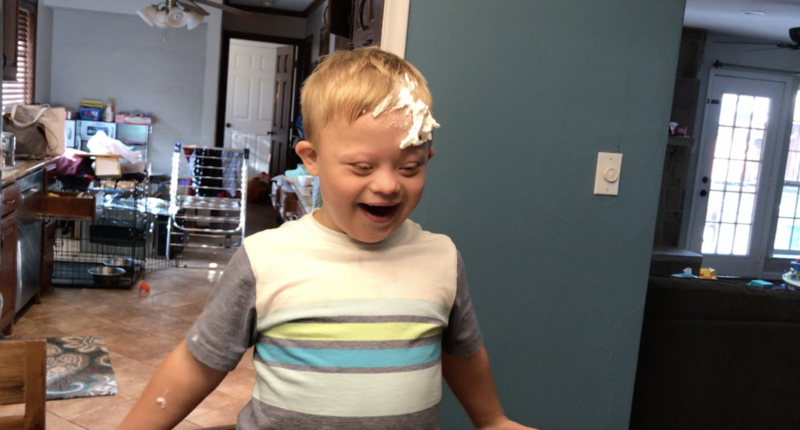 This is a great and easy game for children with Down syndrome (or really any kids) to play. 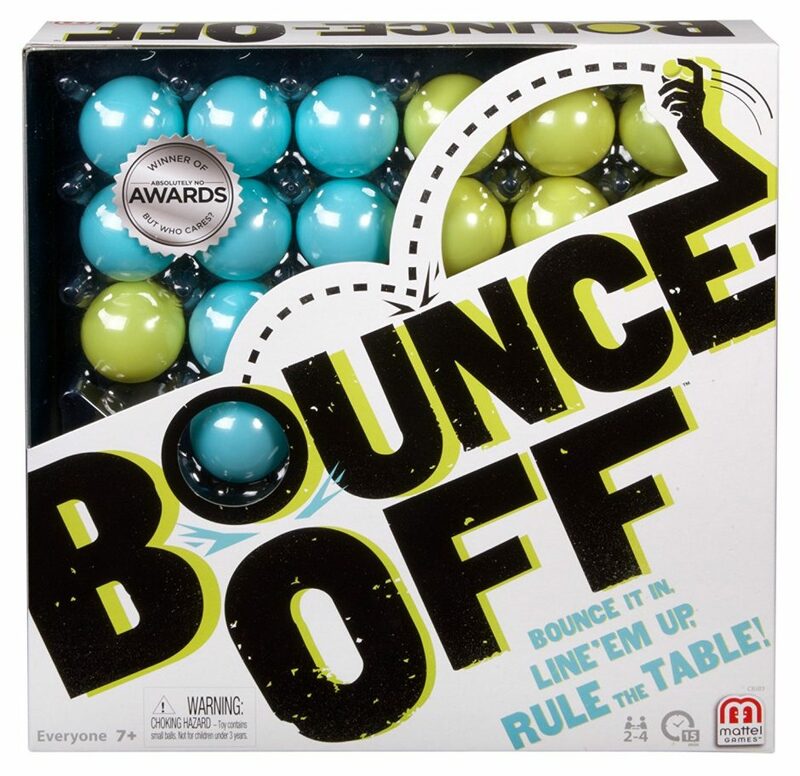 A benefit of this game is that it helps your child learn to count, it helps them develop their fine motor skills as they pick up the marbles and place them in the launcher. Another great thing about Hungry Hungry Hippos is that it doesn’t take all day to play. It’s high energy, and the game is over quickly. A win, win. 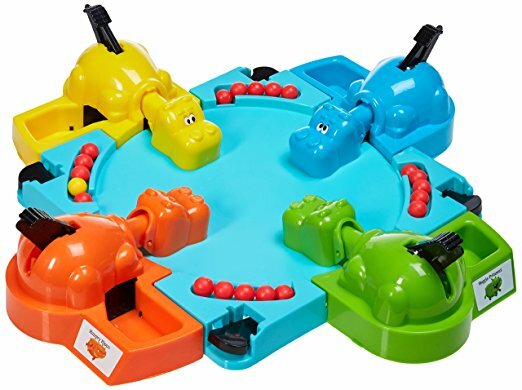 Click here to buy Hungry Hungry Hippos from Amazon. This specific version of Perfection is a smaller version, each makes it easier to play. There are fewer choices and the pieces are more recognizable (it includes ducks, flowers, etc.) You can play with, or without, the timer, but the timer helps them learn to accomplish tasks within a certain time frame. It also helps them develop their fine motor skills as they pick up the pieces. 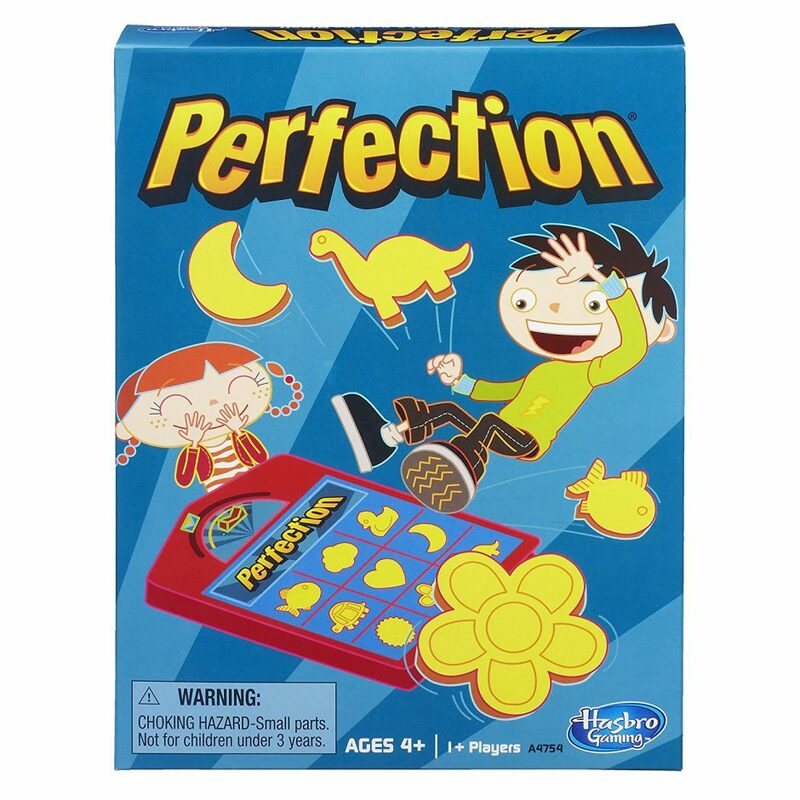 Click here to buy Perfection from Amazon. You can view all of these board games on one list by clicking here. These are some of our favorite games, what are we missing? Leave a comment and tell us about other games you’ve played that your kids have enjoyed! If you end up buying one of these games, we’d love to hear your experience as well. 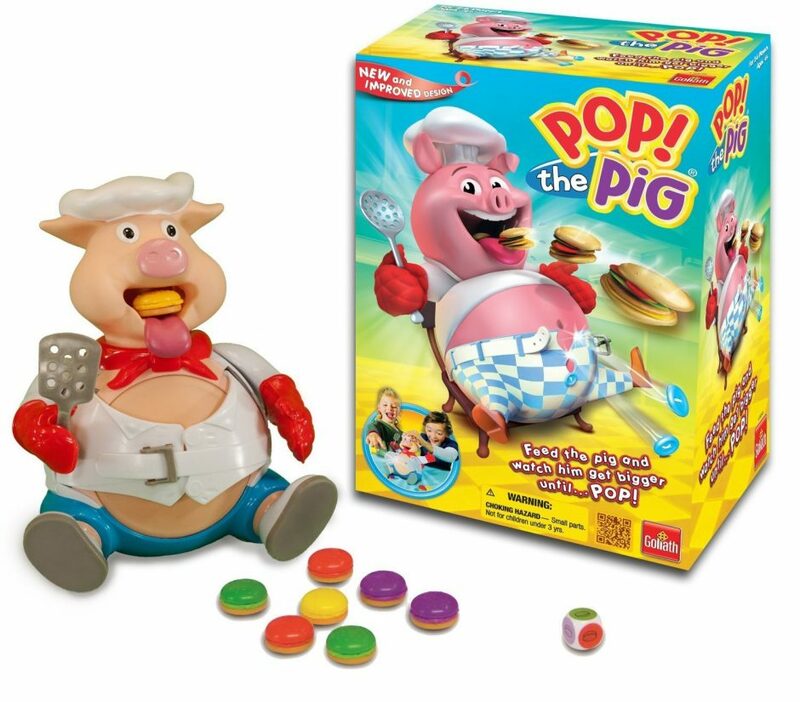 So be sure to leave a comment and let us know which one you got and how your kids enjoyed playing it!